LG is soon coming with its second edition of glasses free 3D smartphone, the Optimus 3D Max. The phone is set to be released during Mobile World Congress 2012 among the range of other streamlined and state-of-the-art mobile devices. 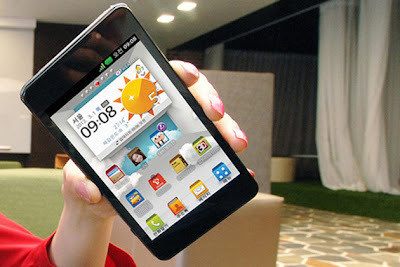 According to LG Optimus 3D Max will be released at other parts of the globe as Optimus 3D in some areas. It is set to arrive with unique 3D experience and advanced NFC capabilities. The smartphone is more sleak that its earlier version as it is 9.6 mm thin and has a 1.2GHz dual-core processor, a 4.3” WVGA display, 8GB of internal storage, 1GB of memory, a 5MP dual-lens camera for shooting video and photos in 3D, and a 1.520 mAh battery. The Optimus 3D Max will release in Korea in March before a global launch of the device. To be released with Android 2.3 Gingerbread, however, is set to be upgraded to Android 4.0 Ice Cream Sandwich after that.